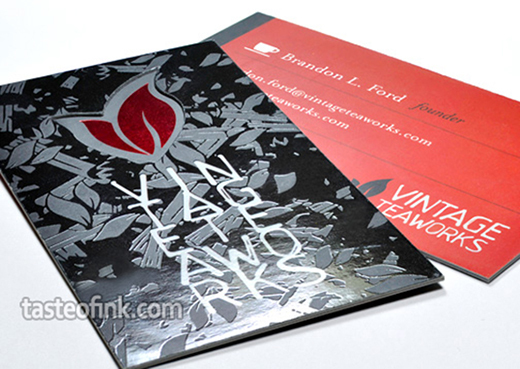 Custom business cards are the foundation of good marketing material. 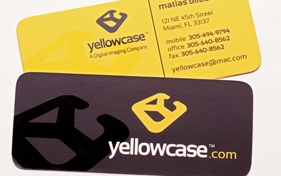 The first thing you hand someone is your business card, so make sure it is customized to fit your company's image. 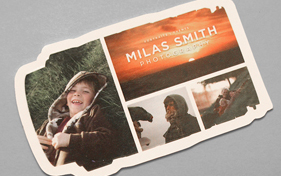 Using boring business cards can severely devalue your business in the eyes of the consumer. Your custom card may be the only thing a customer has to judge you by, so make sure they are the best business cards they can be! 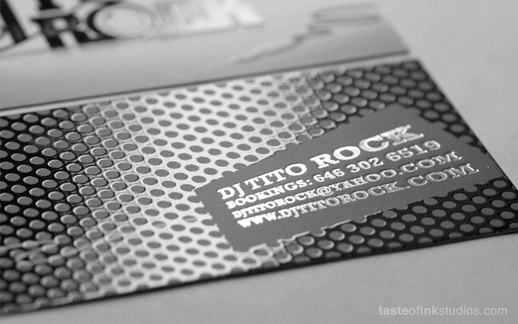 At Taste of Ink, we understand the importance of having impressive customized business cards. 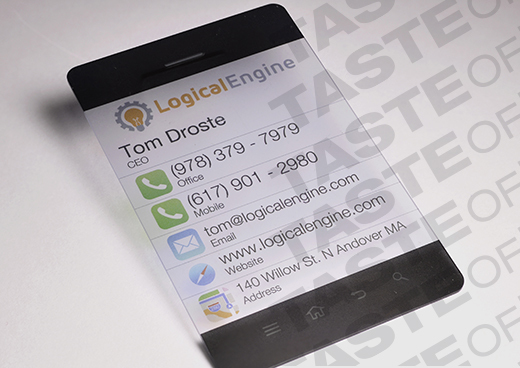 We custom design every business card to match the company image you want to portray to customers. Many business card designers have you pick from a template or pre-designed selection of cards, but Taste of Ink starts from scratch to build you a unique, professional looking card for your business. 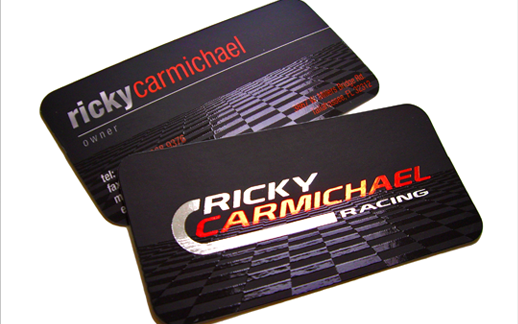 We work with you to make sure your custom business cards turn out exactly how you want them. 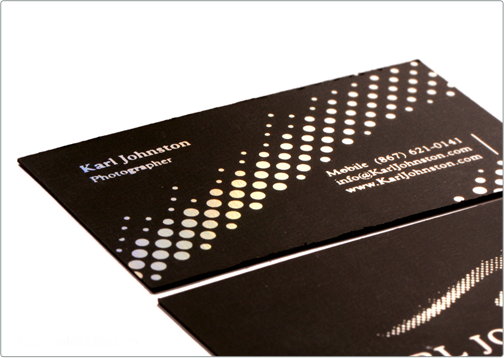 Business Cards: To Customize or Not to Customize? When considering whether you should have custom business cards printed or not, keep in mind that your competitors will be vying for the same customers that you are. They will be doing everything possible to convince the prospect to use them- including handing out impressive custom business cards. If your business cards are not professionally customized, the customer will most likely decide in favor of your competitor. 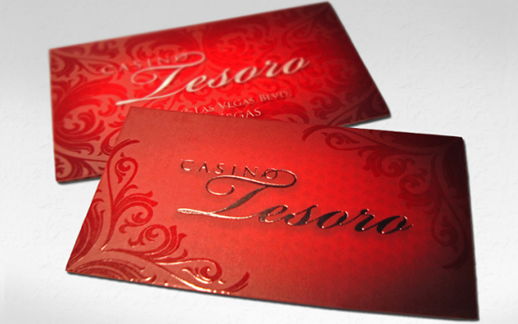 However, if you present a unique business card, your chances of winning the client will increase significantly. But Aren't Custom Business Cards Expensive? 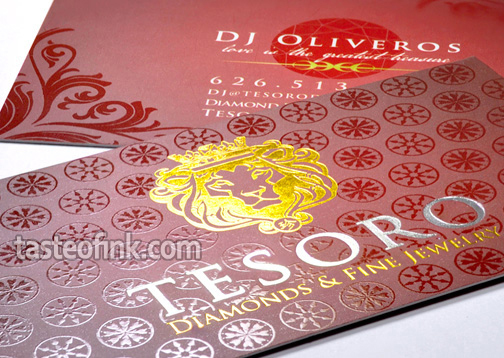 Taste of Ink specializes in highly customized silk business card designs. Our print experts start from scratch when designing your business cards - there are no templates or pre-made card designs. The specialists at Taste of Ink will cooperate with you to determine the best custom business card design to match your company image. Call us today!